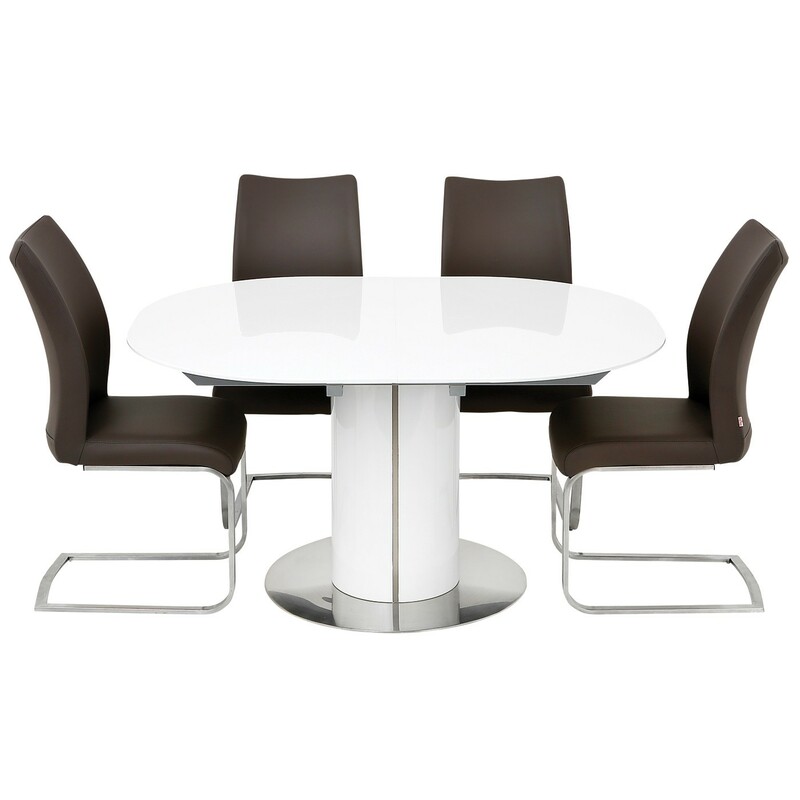 This beautiful oval table offers dining from a convivial four seats up to six and eight when extended. 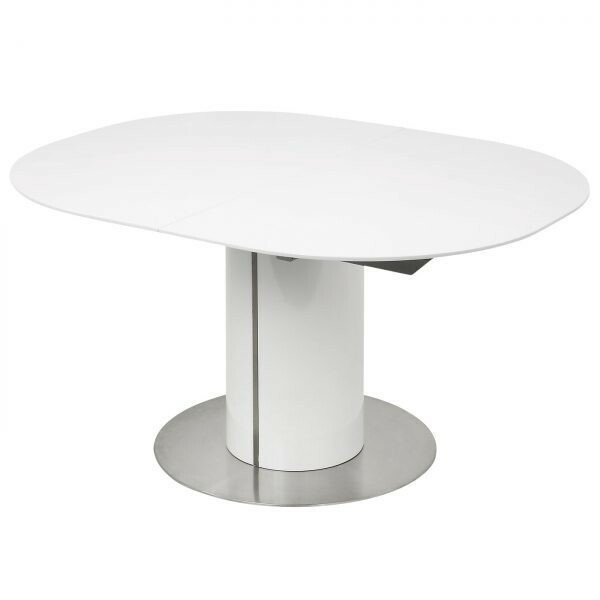 The soft curves of this stylish table are mirrored in all aspects of the design, from the oval top, through to the detailed Pedestal and Brushed Steel Base. A smooth mechanism enables the effortless opening of table and the Extension Leaf stores within the table when not in use.